Welcome to the infographics of the Horoscope 2015 presented to you in simple and easy manner. This simple image will give you a clear idea of what the year 2015 has in store for all the 12 sun signs. Take a quick glance into the future and get instant future forecasts! Will you fare well in love or in career? Will you get that coveted promotion that you have been eying? How will your relations with your family and loved ones be? Will you be blessed with good health? What about money and finances? Get answers to all these and more with the horoscopes 2015! 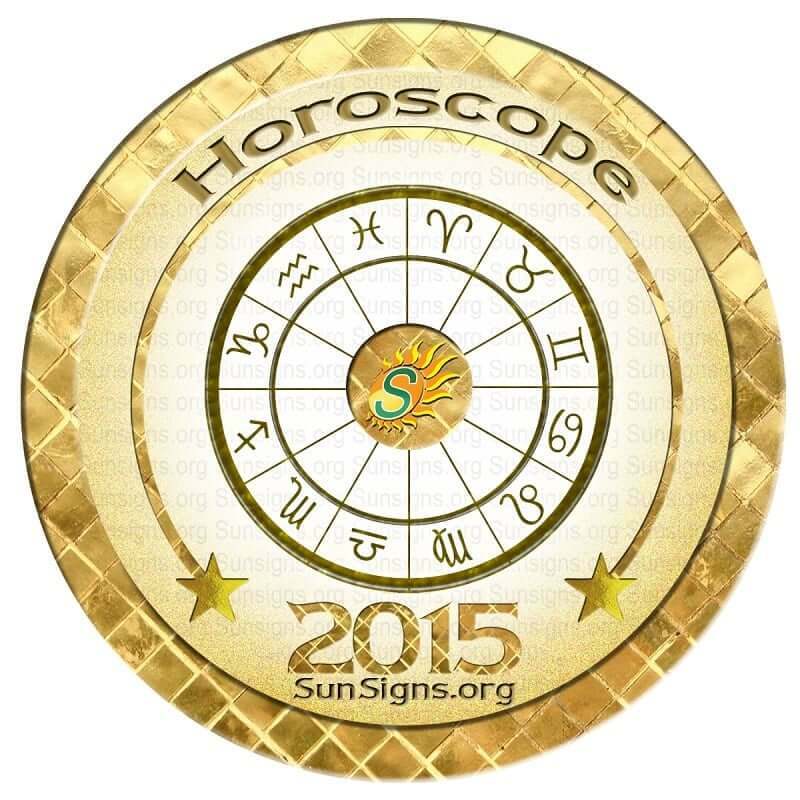 The 2015 horoscope for each of the 12 zodiac signs are just a click away! Find out how the coming year will be for you in terms of love, career, finance, travel, family and health. Get free 2015 astrology predictions right now! These yearly forecasts are not only accurate but also absolutely free. 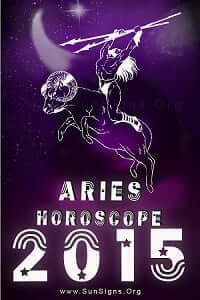 The Aries 2015 horoscope predicts that this will be a hectic and happening year for the Arians. Career and business will bring some new changes. This might not be the right time to fall in love. Proper financial management is necessary. This is the right time to plan for your future. 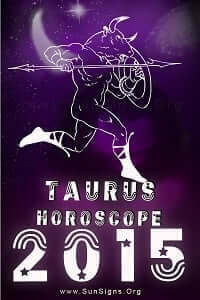 The Taurus 2015 astrology predictions forecast that this year will be financially profitable for Taureans. You might also come into money from unexpected sources. Love and romance will be in the air. This is a good time to get committed. Overall health will be stable. Make the most of this year when it comes to career or business. 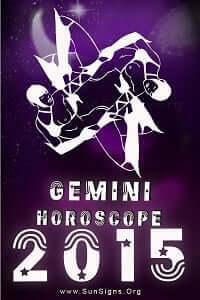 2015 will be an energetic year for the Gemini sun sign. You feel as if you have the courage to take on the whole world. Important decisions will need to be made on the career and business front. The Gemini zodiac forecasts for 2015 warn that it is time to control your expenses. Exercise is absolutely necessary. You might fall in love in 2015. 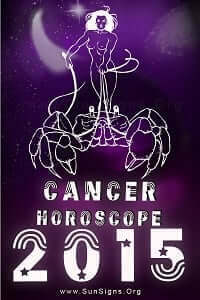 As the horoscope 2015 rightly predicts, this is a year of celebrations for the Cancer star sign. Expect to entertain and be entertained throughout the year. Keep your eyes open, your soul mate might be just around the corner. Career and business prospects will improve, thanks to your networking skills. Do not get depressed by minor issues. 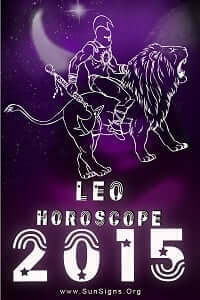 The horoscope 2015 predictions for the Leos forecasts that you will be on the move throughout the year. The Lions have to be careful not to be surrounded by negativity in 2015. Love life will be pleasant and happy. Emotions and feelings will need to be controlled. This is a good year to take a long vacation. Also read about the effects of Mercury Retrograde 2015. 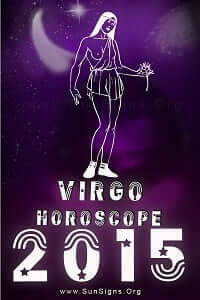 The Virgo 2015 astrology forecasts are very positive for the coming year. Be it career, love, relationships or finance, you will prosper in all fields. But be sure not to be extravagant. Take good care of your health. Romance might be on the cards. Do not be serious all the time about your work or relationships. Let your hair down once in a while. Learn to have fun in 2015! It is time for the Librans to get more organized in 2015! If you wish to be successful in both your personal and professional life, then you will have to learn to balance both. Serious love relationships might not materialize. New ideas in business and jobs will take you far ahead predict the horoscopes 2015. If you are able to equally give time to different aspects of your life, then you will be a success. 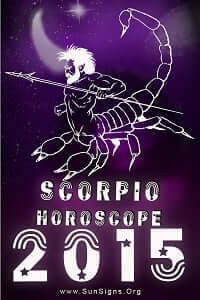 Focus and analysis are the keywords that describe the Scorpio astrology predictions 2015. Analyze the situation well before making decisions. Being silent and secretive will not help in your career. Income will be good, so learn to save. Scorpions in relationships will get serious about each other. 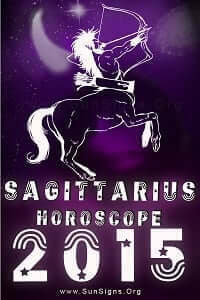 The Sagittarius horoscope 2015 predicts that this can turn into a romantic year. You just need to be a little more flexible and understanding in all your relationships. Take your job more seriously. This is a good time to take up new challenges. You will know in your heart when you meet your true love. 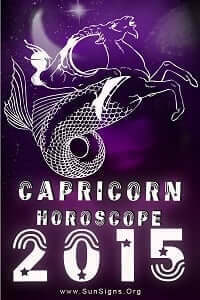 The Capricorn horoscope 2015 foretells that you will enjoy the advantages of your kind and helpful nature this year. You will crave to find balance in your life. Do not let your moods spoil golden opportunities. Love relationships will be short but sweet. 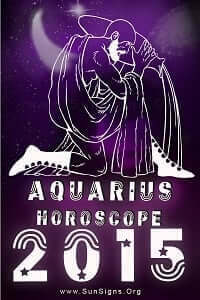 Aquarius astrology 2015 forecasts you will have to work hard to find the right balance this year. Jobs might get tedious. This is a good year to start a new business. Long term love commitments and adventures do not go hand-in-hand. Patience will be needed to overcome obstacles. 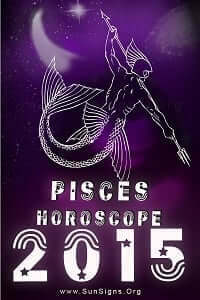 The Pisces horoscope 2015 predicts an enthusiastic year for this zodiac sign. But you will have to find the proper equilibrium that will balance all parts of your life. Being organized and methodical can make your task easier. Health will be good. Finances will be excellent. And you might just get lucky in love! What are you waiting for? 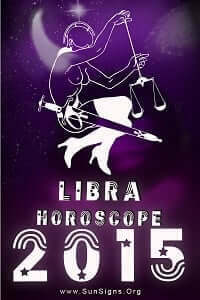 Get your free horoscope 2015 for your zodiac sign and see how you will fare in the coming year.